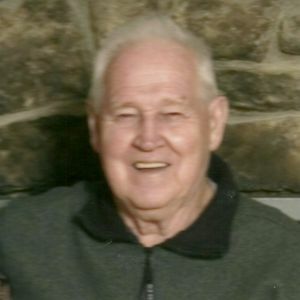 James G Pursley, of Anderson passed away March 24, 2019 at the age of 91. He was born October 20, 1927 in Anderson and lived here his entire life. Jim attended Anderson high school and served in the US Navy and was a Korean Conflict veteran. Mr. Pursley retired after owning an auto garage nearly 40 years and serving the Anderson community. Jim is survived by wife of 64 years, Therese Ann (Kuklenski) Pursley; sons, Patrick Pursley, James Pursley (Diane), Robert Purlsey (Sarah); daughter Laura Klaus (Christopher); several grandchildren and great-grandchildren; siblings, Robert Pursley, Donna Deweese, Mary Bartlow, Wanda Stringer (Jim); and many nieces and nephews, friends, and loved ones. He was preceded in death by his parents, Ralston and Rozella (Tyree) Pursley; and siblings, Barbara Pursley and Edna Stewart. As per his wishes he will be cremated and there will be no visitation or services.